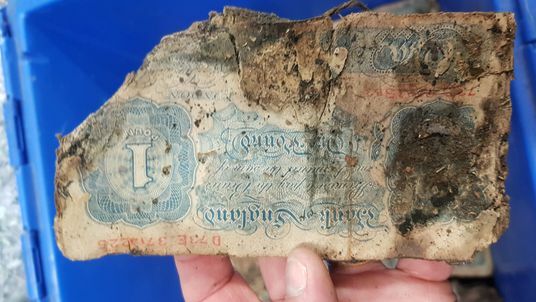 Bundles of decaying Second World War bank notes stashed away in case of Nazi invasion have been discovered under the floorboards of an old clothes store. Shopfitters found the cash on the site of what was once Bradley Gowns - now a Cotswold Outdoor store - in Brighton. 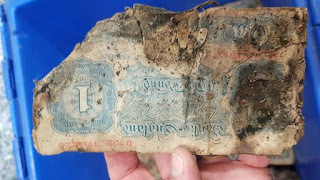 The hoard of £1 and £5 notes adds up to about £30,000, which is the equivalent of more than £1m today. Bradley Gowns - which had a flagship store in Chepstow Place, London - had a number of famous clientele, including members of the royal family and Winston Churchill.